I’m avoiding writing about Albert. Oh, there’s a lot to say. A lot of ruminating to come on questions of health and injury, beliefs and fairness. Some wisdom, I hope, will come from Albert, our family, and our vet. He has survived a medical crisis. Right now, it seems like he has. And, one of the questions for us is how many more medical crises will we ask him to face? Like many animals I’ve known, if you ask him to accept pain and fight through something, he will do it. Silent and stoic, he surely will. He’s getting older. That’s probably the real bottom line. He is getting older, and his good, easeful days fewer. So, I took my coffee and newspaper out to the barn this morning. Just to see him and sit with him. Something else has been on my mind at the barn. Where is the red-headed woodpecker? I used to see one all the time when I’d first turn down the drive. After all, this medium-sized woodpecker lives in Virginia year-round. Lately and to no avail, I’ve been scouting for it at the edge of the road, in the fields, and on the trail. What makes this bird a thrill to watch is its crimson hood. Red-hooded woodpecker seems like a better name to me, really. While the bird is not on the threatened list, its habitat is shrinking fast. When I first pulled up to the barn today, I heard a bird in one of the two old oaks by the gate. Sort of a cherr-ah or kirr-ah. I made a mental note to try to research that call. But, I didn’t look up because I wanted to look in on Albert first. I nearly wept from joy when I first saw him today. Calmer than yesterday by an ocean. Steadier, too. And he nickered. So, I pulled up a chair beside his stall door. He poked his over the gate and stood near me while I read him headlines. I didn’t read to him about Boston. I read good stuff: about the history of the James River Park System. I read book reviews to him. We looked at the grocery coupons and perused the open houses, too. I heard the kirr-ah or cheerr-ah again. “What is that bird, Albert?” I asked him. A few minutes later we heard a dull drumming of a woodpecker against a tree in the woods. I’m horrible at identifying woodpeckers by their drill. Finally, after fussing over Albert – grooming him good, spreading out his shavings, doing my best to repel flies – I headed home. I sat for a minute in the car, thinking about my horse. One or two of those big questions that need attention sallied out into the open meadow of my cleared mind. Cleared like it always is when I’m out there. And like these birds just do, sometimes, right then a red-headed woodpecker came around a limb of the oak. Went back up, came back down, went back up. I watched one then two red-headed woodpeckers forage the tree for insects. They didn’t drum or cry, just let me see them. 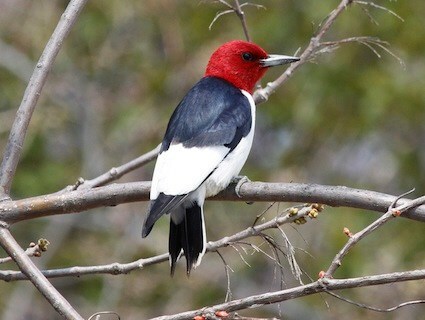 Even the red-headed woodpecker helps me consider Albert and his life. How will I thank this horse for his service? Enjoyed the woodpecker pictures. We just put up a window feeder at our house, and we have been seeing the most amazing birds up close. Today a yellow goldfinch hopped over. It’s such a wonderful time of year for birds. Hi Trailbosshoss! 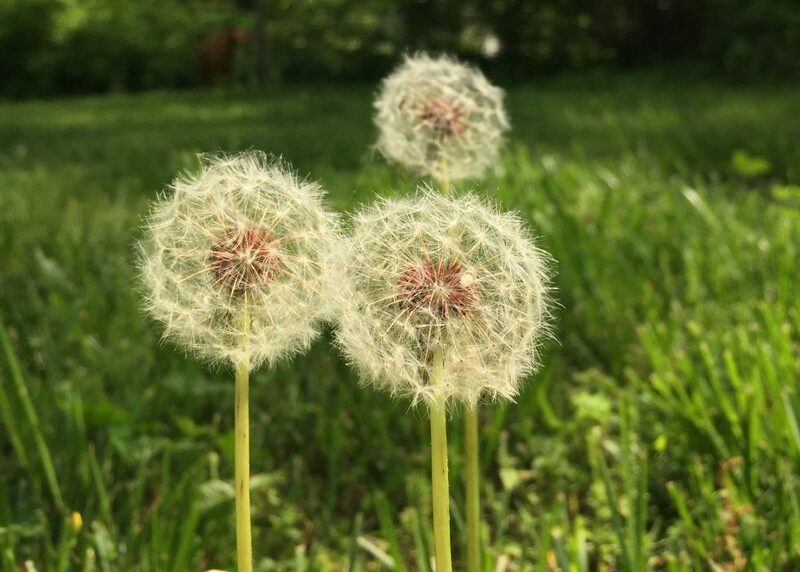 Thank you and thanks so much for stopping by my blog. Welcome and I look forward to reading your blog, too! GORGEOUS bird! What a treat to live near such a beaut. He certainly has given you much to think about, and the service your steed has given to you…. That is very thought worthy…heart rending too, with the tail end of a horses life. I will face this someday. I do pray it is when my mare is MUCH older. I hope that Albert can let you know, in his way, when he needs to be let go. I enjoy your writing, and will like to come back to catch up, since I am new…and to WP.